The Seattle Times’ Brendan Kiley previewed Double Exposure for the Sunday edition. Jono Vaughan’s Project 42 was featured in this story and video by Crosscut’s Brangien Davis and Aileen Imperial. Look for the video as an interstitial on KCTS, too! Here’s the Stranger’s inimitable Charles Mudede on Basquiat’s “gorgeously brutal” Untitled, capitalist values, and giraffe necks. Artist Trust recently announced Marita Dingus as the winner of the 2018 Irving and Yvonne Twining Humber Award for Lifetime Artistic Achievement; see Marita’s work at SAM Gallery beginning this Thursday. Rosin Saez of Seattle Met counts the “thoughtful, if curmudgeonly, ways” of Anthony Bourdain, tracing the moments the food & culture connector visited Seattle. Don’t miss Rebecca Brown’s feature in the Stranger’s summer A&P, “What Looking at Landscapes Can Do to You,” a review of the current exhibition on view at the Frye Art Museum. 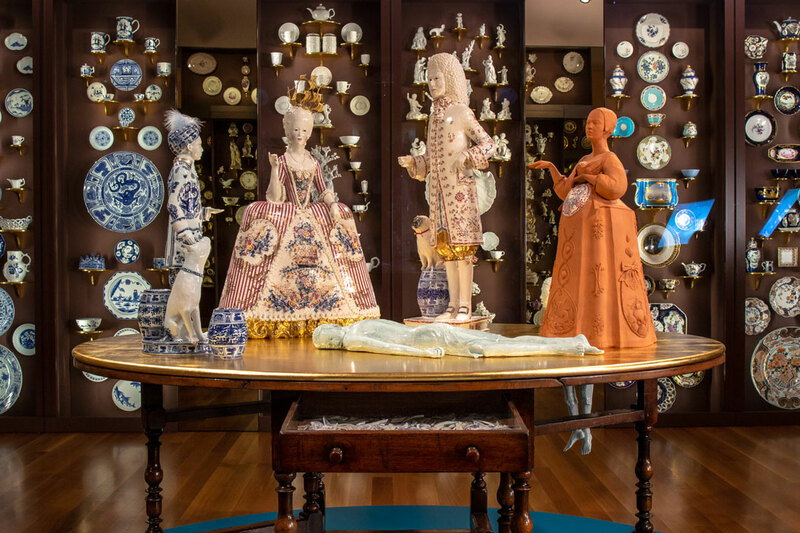 Following last week’s significant ruling by the Supreme Court in Masterpiece Cakeshop vs. Colorado Civil Rights Commission, both Artnet and Hyperallergic reflect on what it means for the art world. The Art Newspaper previews the Charles White retrospective now on view at the Art Institute of Chicago and later traveling to MoMA and LACMA. 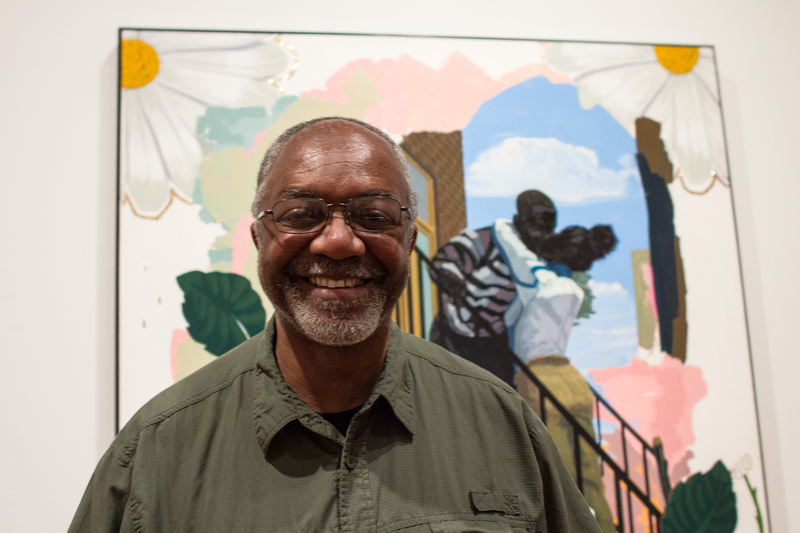 A key figure of the Chicago Black Renaissance, White was a mentor to SAM favorite Kerry James Marshall. For Freedoms, an organization founded by artists Hank Willis Thomas and Eric Gottesman, has launched an epic 52-state initiative to encourage political engagement by artists and art institutions this fall. Good news: Art auction stock photos are about to get way less weird. 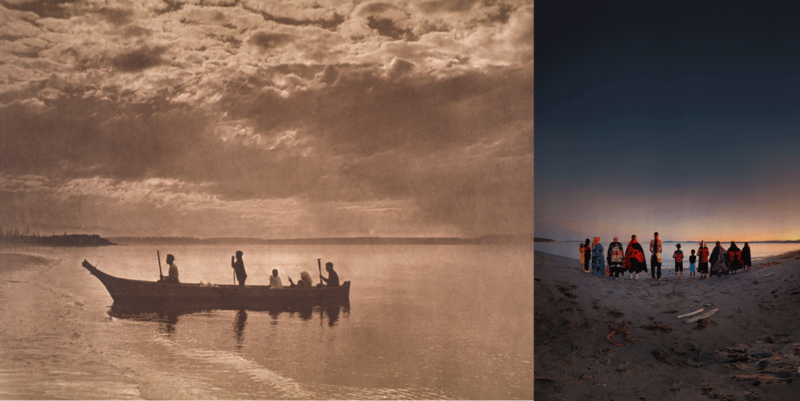 Images: Left: Sunset on Puget Sound, 1912, Edward S. Curtis, American, 1868-1952, photogravure on vellum (paper), 11 3/4 x 15 1/2 in., Seattle Art Museum, Gift of John H. Hauberg, 86.173. Right: Ch’aak’ S’aagí (Eagle Bone), 2018, Tracy Rector, Seminole/Choctaw, b. 1972., video, Seattle Art Museum, 2018 Commission, Courtesy of the artist.